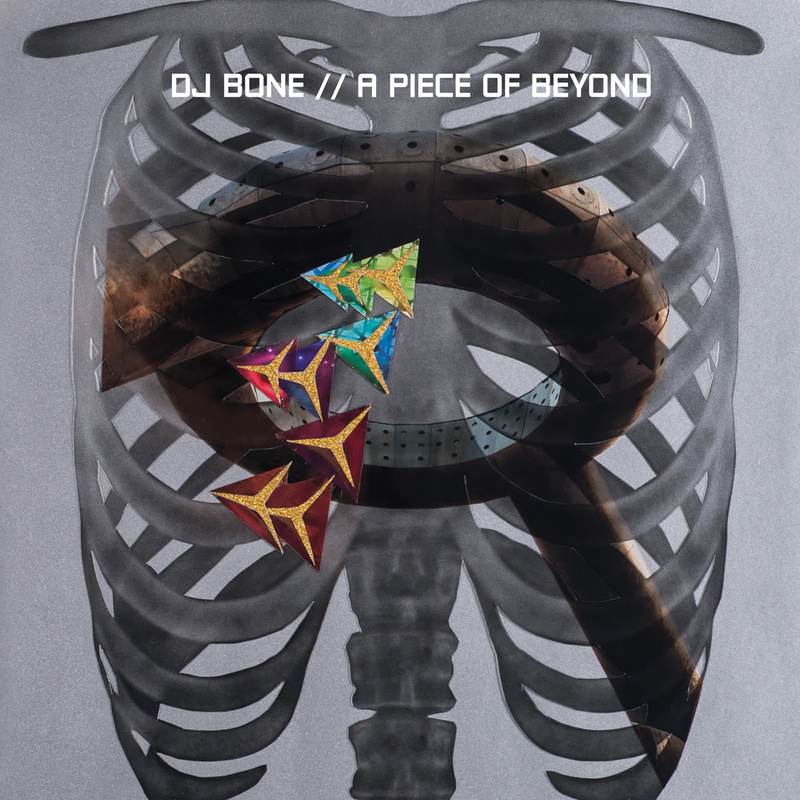 One of techno’s most vital and distinctive DJs and producers, DJ Bone (Eric Dulan) brings another fresh fusion of funk and ferocity, Composed for deployment on his own Subject Detroit imprint, 'A Piece Of Beyond' is a detailed and varied cross section of Bone’s multidimensional musical mind, continuing the ongoing evolution of his electronic palate, and expanding his tastes in ever more cosmic and revealing directions. 'A Piece Of Beyond' is Dulan's third foray into the long-player format, following 2007's 'Out of Nowhere' CD album as DJ Bone, and the 2017 LP for Don't Be Afraid, 'It's Good To Be Differ-Ent', released under his Differ-Ent alias. The album rolls out with aplomb as the aptly titled opening track ‘It Begins’ sets the fireworks off immediately, with a grandiose orchestral synthesis building from the off. This sense of grandeur is, inch by inch, peppered with sincerely sci-fi moments. A substantial yet somehow still subtle kick as well as scattered percussion sidles in to proceedings, establishing Bone’s masterful use of both light and shade. Before long, listeners are quickly propelled into Bone's diverse world. Alongside its fierce, gnashing hats and cymbals, ‘Dreamers 9’ introduces a wonderfully weird key melody that’s distinctly Detroit, while ‘Sweat’ is much more stripped back percussively but combines a monstrous, visceral low-end melody with a loop of the track title, barked in a hostile tone. These powerful techno manipulations are met with psychedelic burners are the LP progresses; ‘The Chase’ is a whirlpool of bubbles and bruises, brimming with Bone’s trademark aggressive drum arrangement injecting a dose of true Michigan electro, also found on equal heaters 'Freestyle' and 'Power Outage'. There’s even a rare diversion into vocal-house on the raw, melancholy ‘R.I.P.’, featuring one of dance music’s true icons, Aaron Carl. 'A Piece of Beyond' will be released on triple-vinyl & digital formats on April 30th 2018.